“Being adventurous is simply who I am – whether it be nature or nurture I’m not sure, but there are stories of me wandering off as a two year old seeking my own adventures, much to the anxiety of my parents, yet it’s also from their influence that I have the desire to try new things instilled in me. 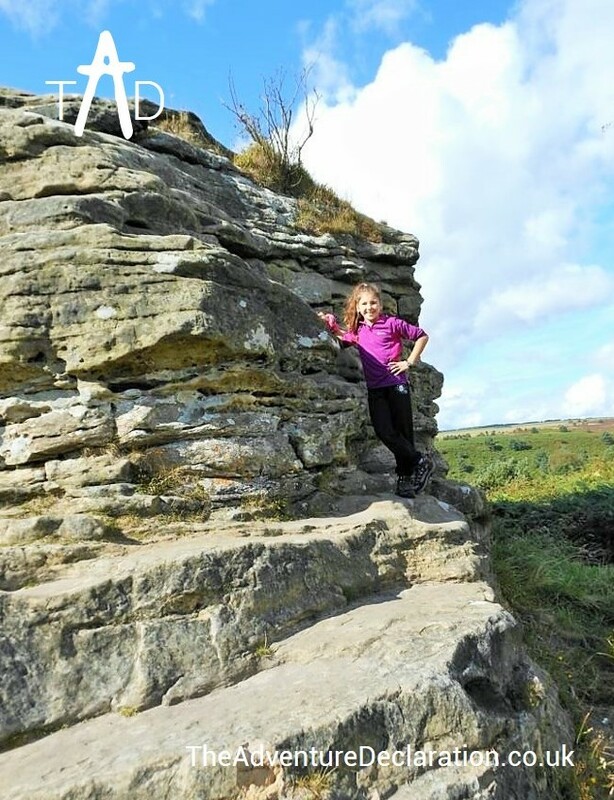 As a child I wasn’t aware that I was particularly adventurous, as going camping in the wild, hiking over the moors and finding new hideouts was the family norm most weekends. However, it was only in my late twenties that I started to push myself beyond my comfort zone and I became more aware of the adventures other people were having, which made me envious, and I developed a thirst for wanting to push myself more and more, often not really sure if I was capable but at the same time not really thinking it through either. I developed an attitude of ‘what’s the worst that could happen?’ and the more I pushed myself, the more I wanted to see what else I could do. 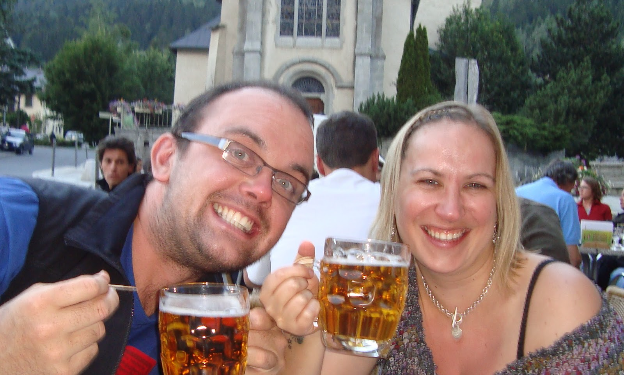 In 2009 I took a year out, rented my house out and set off on my biggest adventure yet. I booked 4 flights, Manchester to Mexico, Argentina to North Island New Zealand, South Island New Zealand to Hong Kong and Nepal back to Manchester. And that was as far as my planning went. All I knew was that I was craving a culture shock. Although Mexico was a great country, thick in customs and tradition, it also had a large American influence and it wasn’t until I headed south to Guatemala where I started finding life very different and a lot more uncomfortable. I thrived off each nerve-wracking experience, asking myself ’what’s the worst that could happen?’ – It was a love-hate sensation, well more hate (at the time) and love (once I’d succeeded). I travelled my way by chicken bus through the very poor but beautiful Latin American countries, largely keeping off the tourist path, living with local families, learning Spanish and meeting fantastic people along the way. I made my plan as I went along, either from recommendation or by reading the travel guide whilst being bashed about on a packed out, rickety, old bus on muddy tracks, finding it hard to concentrate as Latin music blurted out of the speakers and at every stop several ladies hopped on trying to convince you that you need to buy yet another snack. The only goal I had set myself from the outset was to go running in every place I went to, as you see so much more when running around places, and doesn’t require any preparation. Running was the one thing I had in common with people where ever I went, and I often ended up with a local who running alongside me, wanting to chat, intrigued by me (usually as they were often running in jeans, sweatshirts and woolly hats and I was in a t-shirt and running tights). In Ecuador, I joined a local’s mountaineering group who taught me how to alpine climb and I had some great adventures with them, summiting several of Ecuador’s highest glacier topped volcanoes. Ironically, it wasn’t the mountains which I was most nervous about but whether I would be able to understand a thing with my not so fluent Spanish (at this point I had only been learning for 8 weeks) but I thought ‘what’s the worst that could happen?’ Well, when I struggled to understand they simply repeated it louder (and my reaction tended to be smile and nod). I did become a bit of a mascot for the group and gradually made some great friends (as my Spanish improved). The thing I found was that whatever I was doing, I always met someone doing something ten times more adventurous than me whether it be mountaineers, or people on their own hunt for adventure such as charity workers, using their time and skills to help others, such as the volunteer vets helping the sloths and turtles and the aid workers supporting orphaned children and women who had escaped violent homes. This spurred me on to push myself even more and make the most of every opportunity. As Nepal was my final destination, and my 30th birthday, I had decided to treat myself and had booked with a company to do a 3 week expedition, incorporating three 6000m mountains in the Everest region. I headed to the Annapurna region and raced around the circuit and sanctuary in ten days, a) to get some fitness and b) to see as much as I could as I only had 2 weeks before my expedition started. On returning to Kathmandu, I found out that my expedition had been cancelled – I was so disappointed. I started walking around the tour offices to find other adventures to do and came across the Tenzing-Hillary Everest marathon. This would be the perfect finale to my goal of running in every place! However, I had never run a marathon – and the running I had done throughout my trip had been an hour maximum at jogging speed. I wasn’t really sure if I was capable but ‘what’s the worst that could happen?’ I asked myself…well my flight back to Manchester was on 1st June, and the marathon was on 29th May – that was quite a major factor (as I was pretty homesick by this point and was looking forward to going home). I told myself to stop thinking and just do it, after all I still had 4 weeks to train for it J.
I set off to the Kumbu region, trekking from teahouse to teahouse and visited most of the villages in the area. I met many brilliant people, all doing amazing and inspiring things, people who had either summited, or were en route to summiting Everest; I had afternoon tea with David Walsh, the famous Sports Sunday Journalist who was writing about Lewis Pugh who was there to swim in a glacial lake at 5300m in just speedos to make the world aware of the problems of climate change. I met a guy sponsored by Skype setting up internet links between the primary schools around the region so that they could support each other more and I was humbled by the work of the volunteer doctors who had set up medical rooms in tea houses to treat the porters who often suffered maltreatment. I managed to summit two 6000m mountains before heading to the Everest Base Camp to start the marathon. The marathon was the best (and hardest) thing I had ever done to date and I was high on adrenaline during the whole race, being cheered on by teahouse owners who I had befriended along the way. I made it to the finish at Namche Bazar in one piece – much to my amazement! Share it with your friends so more women hear about the brilliant adventures happening every day. “I have been on many adventures since I could walk. My first inspiration came from watching Dora the Explorer. I used to love it when my family use to take me out on our version of a Dora Adventure, kitted up with an explorer hat, a teddy monkey from the program and most importantly a home-made map (specially made for me by mum, nanny and auntie). At that time I was only 18 months old. I remember that half a mile felt like 5 miles. I have had many adventures since. 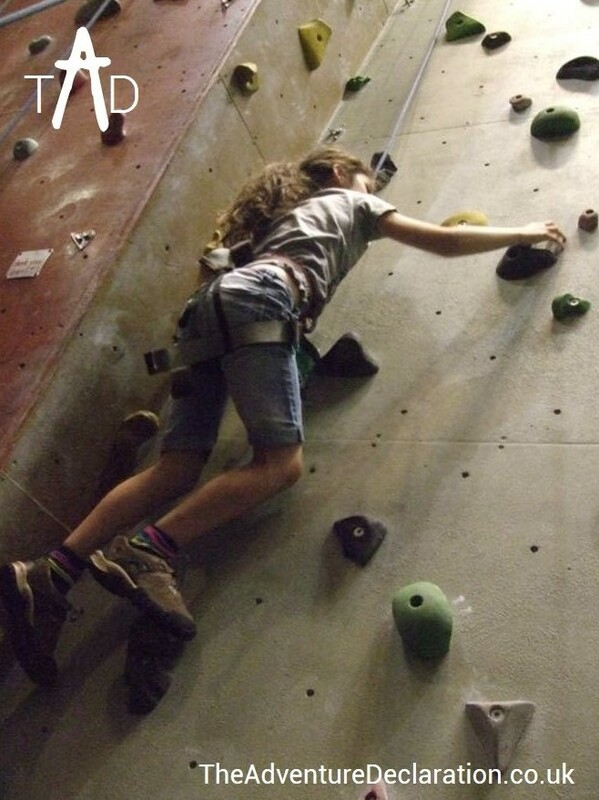 For example, canoeing, indoor rock climbing and hiking since the age of 3. Also I have represented my school in running and football. At school I love P.E. My favourite sports are rugby and rounders. The people who have had a big influence on me and encouraged me are my family (my nanny, auntie, mum but not forgetting the men, grandad and my uncle). One of my favourite adventures was when I climbed Pen-y-Ghent for my 10th birthday. This was my first proper hill climb, it felt like a mountain. I felt amazing, the first time being inside a cloud, feeling like you were at the top of the world not being able to see anything but the bit you were standing on, like nothing else existed. One of the big things I remembered was how cold it was but that was the fun of it. The experience of a life time. I go on adventures and do challenges because of the achievement after you have done it. I once did a 10 mile walk at midnight with my nanny. We finished at 4am in the morning and sat on a kerb eating a bacon butty. Although I was really tired I was very pleased I made it through the night. I slept well that day that’s for sure. I wanted to do it to raise money for St Leonards Hospice. This was a charity that helped my granny when she was ill so I like raising money for it so they can go on to help other people who need it and for the families who could lose someone they love. In a few weeks I am once again doing the midnight walk with my nanny. I am looking forward to doing it again and eating a bacon butty at the end. Adventure in sport will always be a big part in my life because it makes me happy and I find it fun. 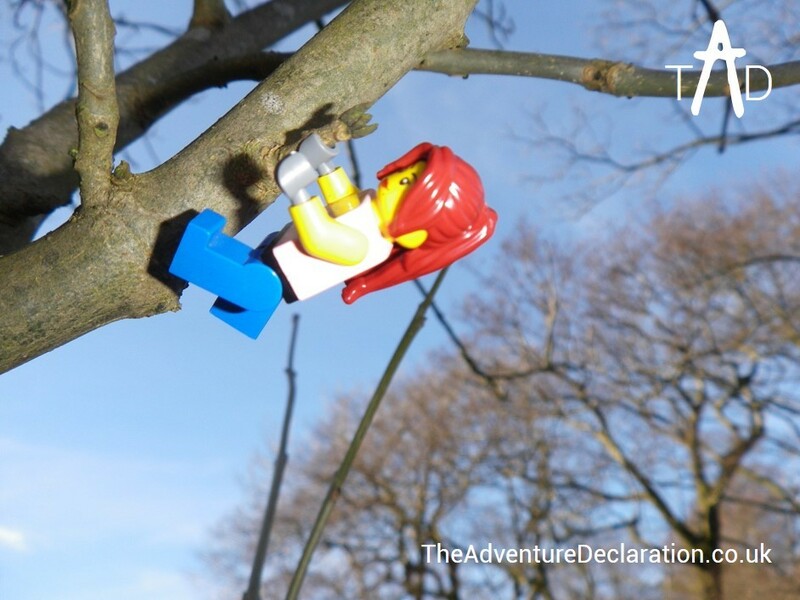 The Adventure Declaration is for all women with hearts of adventure. Let’s share and celebrate our stories. All adventures count and we’d love to hear from you. Click here to find out how to get in touch. Make your declaration to enjoy every second of every adventure and if you enjoyed reading this post share it with your friends and join The Adventure Declaration on Facebook. In this parallel universe there’s a fragile world which has tried to wrap us up in cotton wool and to protect us from ourselves. In the fragile world we faced battles for the right to vote (1918 for women over the age of 30), benefited with lifestyle choices from contraceptives and strive for equal opportunities in education and the workplace. It took 88 years in this universe for women to be classified as capable of running an Olympic marathon, from a brave first attempt to challenge the rules in 1896, until 1984 when the women’s marathon became an Olympic event. Our sportswomen are, by the media, often sexualised and their achievements placed secondary to their family relationships (mother, wife, girlfriend, daughter). And even now some people can’t quite get their heads around that we are truly passionate about our need for adventure. Although I don’t doubt these battles have been and continue to be completely necessary to make sure all women benefit, the fragile world, let’s face it, it can be stressful, patronising and very annoying. Personally, I like the alternative universe, the one full of adventure… where women took a Grand Tour of Europe, as part of a trend to absorb ‘culture’ from the mid 18th Century. It may have been restrictive in its way and predominantly for the upper classes, but it was still opportunity for women to experience new locations. Elizabeth Hawkins- Whitshed after being despatched to the Alps for the mountain air to improve her health, caused a bit of a stir by completing a double ascent of Mont Blanc in 1881 in her high heeled button boots! Blimey, respect to that woman 🙂 especially as she also became a specialist in winter climbing and snow photography, as well as ran lectures about climbing to the British Troops during the first World War- breaking barriers as she went. 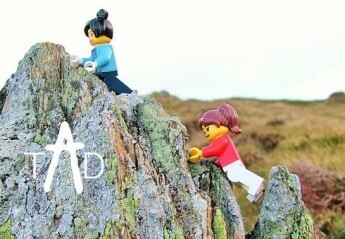 At the same time science was still deciding whether we could psychologically and physiologically deal with running 42k, in 1921 the Pinnacle Club, first British all female rock climbing club was formed with reports of women, moving between the two universes as they chucked their skirts to one side as they tackled lovely routes wearing trousers in Snowdonia. Esme Fairfield ran with sparks flying off her hobnail boots in the 1930’s to tackle all the welsh mountains over 3000 feet in 9 hours and 29mins, which was 1 hour quicker than the previous male record. Gwen Moffat unleashed her rebellious nature by absconding from the Army to climb before becoming the first female mountain guide in 1953. 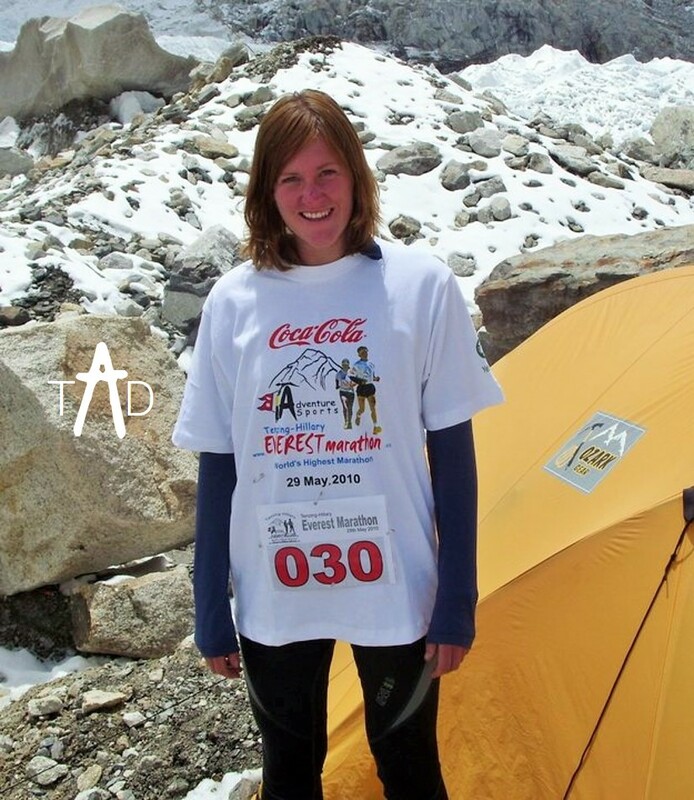 Not much over a decade after the women’s marathon was added to the Olympics, Rebecca Stephens became the first British woman to summit Everest. In under 35 years later Lizzie Hawker out ran all the men in the Commonwealth over 24hrs, Felicity Ashton became the first woman to ski across Antarctica alone and Sarah Outen was the first woman to row solo across the Indian Ocean. And the great news is there’s many more amazing women having incredible adventures every day. So, next time you get caught up in the fragile world, remember the minute you put on your trainers, boots or helmets and grab your bike, map, rucksack or boat you’re heading off into the adventure universe where nothing is impossible. Make your declaration to enjoy every second of every adventure. 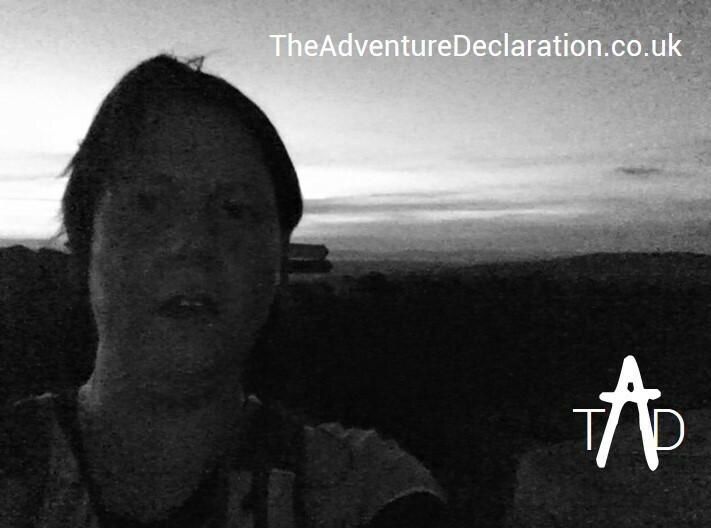 If you enjoyed reading this post share it with your friends and join The Adventure Declaration on Facebook. “Last mid-summer night I set off with a degree of trepidation and a lot of excitement on an epic 80 mile run. The Yorkshire Dales top 10 was devised as a 5 day walk around the beloved hills of my childhood. I’m not sure if I had something to prove or what drove me to take on the challenge of doing it all in one go, but I really wanted to finish. It was a beautiful night as I set off, summiting Pen-y-ghent well within the hour and climbing the stile at the top to look out over the beautiful hills in the sunset. “Hello love. Going far?” Came a voice from below the wall – a head torch switching on. A head emerged from the bivvy bag. “As far as my legs will carry me” I replied. I was lucky to grow up in the Yorkshire Dales, so while (like most other 14 year olds) I had a sneaky fag with my mates, it wasn’t behind the bike sheds, or outside the local shop but up a hill, in a barn or at the very least up a tree. I love the outdoors – encouraged by my family and a school which arranged pot-holing on a Friday afternoon. I was lucky to learn navigation skills through the Duke of Edinburgh, as well as the confidence to get it wrong and survive! My 15th birthday was spent with 5 mates walking a circuit of youth hostels (well, ok it was a mix of hitching and walking – we weren’t angels!). I felt like a fish out of water when I went to Portsmouth for University. Frequent dips in the Solent and visits along the waterfront helped, alongside the usual student misdemeanours which took up most of my late teens and early twenties. But every time I went back up North I felt like I was coming home. I started running on the hills when I came back with exploring seeming the natural thing to do. 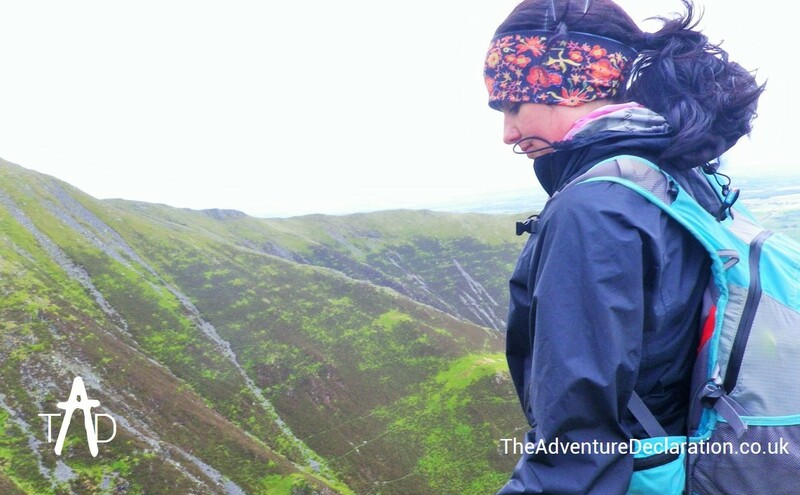 Being pregnant only made me braver, running til I was 8 months gone up hill and down dale. A small baby drove me out of the house for the odd half hour’s peace. I could get on the trails near my house and ran for my sanity – feeling like myself again after taking on the new and alien role of “mum”. Holidays are camping trips, and getting up with the lark means I can get the run in and still be back for lunch, but I felt I had something more inside – more of an adventure I wanted to complete. 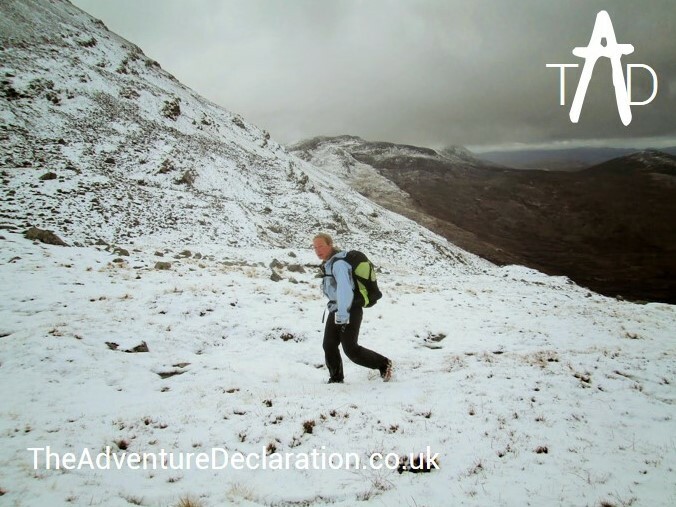 Help me, he did- pushing me out of the door when I needed it, taking on the lion’s share of the weekend childcare, camping wherever we needed to be to allow me to recce the route… And so I found myself on 21st June last year, loving the freedom and solitude. So how did it end? I got lost actually! Then I was way off schedule, miles out of my way, tired and my morale was in my boots. 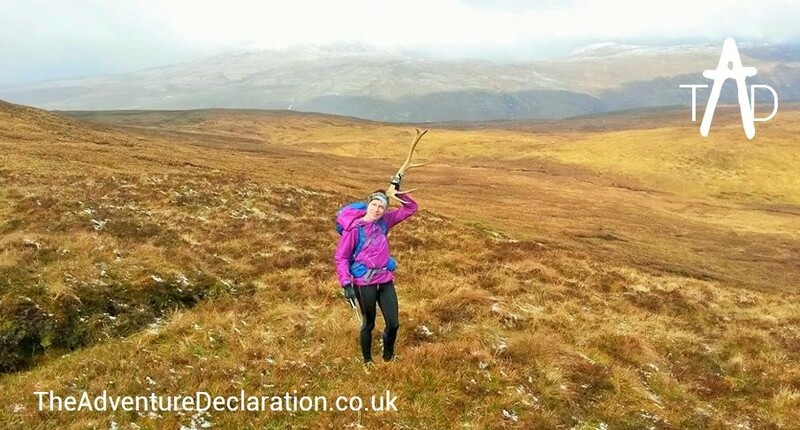 I was lifted – metaphorically carried really – by my fellow adventurer Hannah. She picked me up in Hawes and took me over the next 2. When I saw my husband with a boot full of food and a get out clause, I took it. 55 miles. Not a quitter but a girl who knows her limitations, fit to fight another day and proud of my achievement. For as long as I can remember I’ve always run. 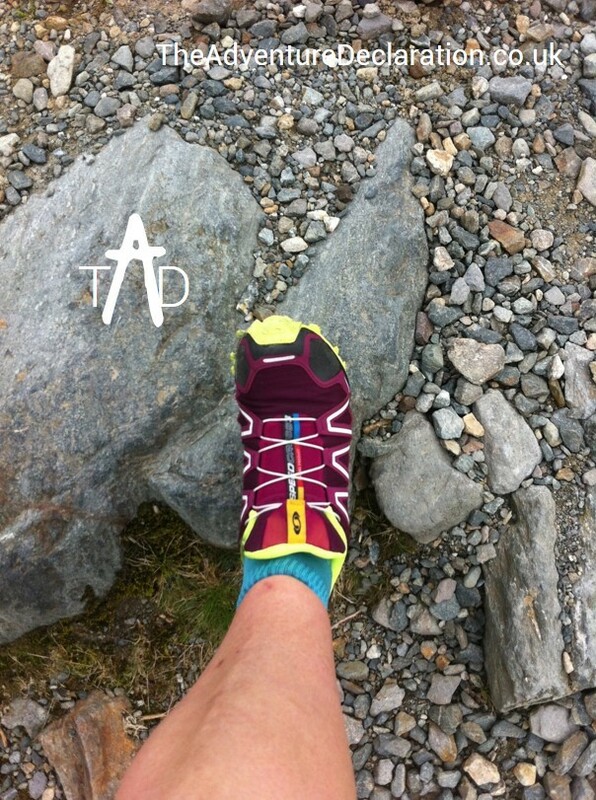 I love that feeling of freedom and exploration which comes with lacing up my trainers and heading out to the hills. When I’ve been restricted by my location, lack of time and money at various points in my life, I’ve had to substitute the natural environment for the urban sprawl, hitting the tarmac and dodging traffic whilst trying to visualise my favourite mountains. It taught me a valuable lesson, that even if a run has the potential to feel mundane, there is always the opportunity to find some adventure along the way- albeit sometimes letting the flow of my legs choose my route, or other times relying on my imagination to brighten things up. We already know that experiencing adventure challenges us both physiologically and psychologically, with the balance shifting between the two constantly as we push ourselves onwards. I’ve been reading this week about the plasticity of the brain and how dramatic or significant events modify our brains. I’m not sure Catherine Malabou was thinking about adventuring but it did really resonate with me… I’ve run a lot, had all sorts of adventures, some full of fun, others painful, but if someone asked me what has been a pivotal life changing (and now I’m thinking ‘brain changing’) moment, I would pinpoint it exactly on the track 24 hour race I did last year. Don’t get me wrong, like most people, I’ve loved and lost along the way and I hold treasured memories of those people. So, although it may sound just complete nonsense that running 400 metre circles for a very long time could possibly have enough of a resounding impact that I came away a different person- it is completely true. It wasn’t even my first 24hr which on the adrenaline of a novice I battled through to run 16 laps on a 10k loop … it wasn’t even the most exciting of locations being on an athletics track. But what it did do, was give me the opportunity to find peace, plus a really bad case of motion sickness which lasted for a few days after. In many ways it was similar to other ultra events where you meet some amazing people and feel part of a lovely community where you encourage and support each other. But overall it was unlike any other run I’ve done, there was absolutely no hiding from myself and running lap after lap really gave me a lot of time to think, as well as a lot of time to just ‘be’. I’ve always been good at visualising and so was able to ‘wallpaper’ the track with my favourite memories and places which gave me a calmness which I haven’t felt before and also a feeling of closeness to everything (including those I’ve lost). I probably hypnotised myself running like a hamster on a wheel! So, how did it change me? It’s a bit tricky to explain- and if completely honest I do feel a little bit silly trying- I came away still full of contrasts stronger/ weaker, brave/fragile, but mostly more honest with myself, hopefully more understanding of others and I feel like I see the world in a slightly different way. It’s even a bit reassuring, going back to plasticity, that my brain will have changed too. Bizarrely then, despite the years of mountain, fell and travel adventures it was the mental challenge of running in very small circles which significantly changed me with its hypnotic calmness! “I’ve been a fell runner for almost three years since I made the switch from road running after taking part in some of the very sociable summer evening fell races in the Peak District and being introduced by my friend Matt to some routes and to Glossopdale Harriers club. Since then I have increased the length and general toughness of my fell running, both in competitive events and in sociable expeditions around the Peaks, Lakes and Snowdonia. To be honest I amaze myself the things I do out on the hills now – night time winter fell running, navigation events and even competing in fancy dress! It’s the great people around me who I have to thank for getting to where I am now. One thing I loved from my first bash at fell running is how friendly and encouraging the community is to everyone, whatever their ability. I’ve now become involved on the committee of the club and make sure that new members, especially female, are supported and given a fun introduction to off-road adventuring. I entered the Highlander Mountain Marathon in 2015 because every year I try to complete a totally new type of event alongside the regular fell races and occasional road races I do. One year it was an open-water swim race, then a triathlon, then winter fell races- you get the picture! As Mountain Marathons are two day navigation events completed in pairs, you carry everything you need for an overnight camp with you, as well as clothing and food to keep you surviving in the wild in whatever weather the chosen area chucks at you. This year the Highlander announced the location was Elphin, in the Assynt area of the NW Highlands. Stunningly beautiful and very rough terrain was what I was told to expect. 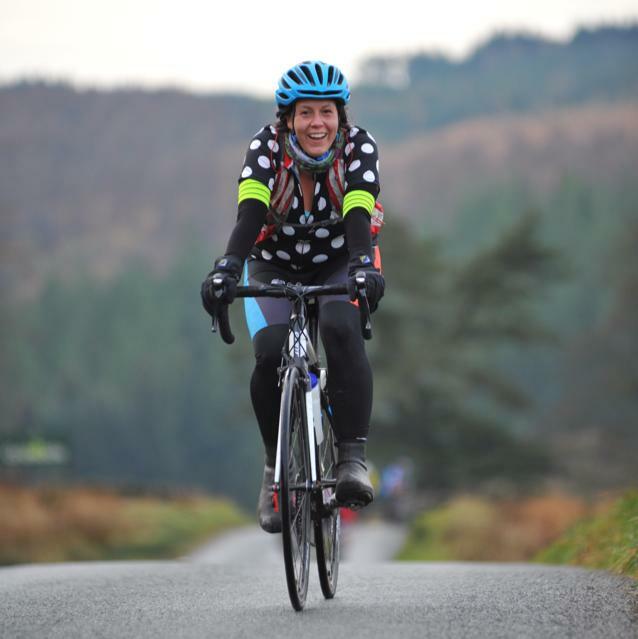 I asked my friend Viv if she would be up for pairing with me for this event, although we’ve never raced together before though I know her well enough to appreciate she’s tough enough, experienced enough at navigation and fit enough for the challenge. Being the same build as myself also counts for something when it comes to sharing an ultra-lightweight tent for a night in bad weather 🙂 The weather!! Suffice to say that when we arrived in the area there was snow visible on the tops, and after a week of sunny days in Manchester it was clear we were back in winter. We’d packed all the right clothing but I knew we were both apprehensive about we what might have to endure. We weren’t wrong about the weather or the rough terrain! And we were rightly optimistic about the fun times at the overnight camp – a little festival of likeminded, weather-battered, merry and smelly people. My event report is on my blog. I did have my doubts about completing such a tough challenge with a partner I’d never raced with before but these were unfounded. I was impressed with how easy it was for Viv and I to work as a unit with little training and preparation. It turns out that instinct is a good thing when it comes to assessing race partners! We had chatted a little on the long journey North, about what our aims were for the event , which were to get round each day in a reasonable time, flex our navigation skills a bit and have fun. We’re both at about the same stage in the progress of our navigating skills, in that we’ve not taken sole responsibility for navigating in an event of this kind before and had both refreshed our training recently so we knew that we were going to face some degree of challenge. We’d also talked about making sure we looked after one another’s wellbeing. I mentioned the well-known fact that if I stopped chatting for some minutes then it meant I needed food, or a rest or was in some other way in trouble either physically or mentally. It turned out that we both did a great job of looking out for one another, what with my hearty singing of the Welsh national anthem to Viv whilst she struggled through a low patch, to Viv dressing me in an extra jacket and feeding me an energy bar on the second day when my hands were just too cold for anything. Practically, it was easy for us to stay together as a pair, which we needed to as the rules state that a pair must always remain ‘in contact’ with one another, keeping within sight and hearing of each other at all times. There’s no hard and fast distance to maintain – the weather can alter keeping in contact drastically. For example as we ran along a ridge into the hail and wind, a guy passed us, whistling frantically to his partner up ahead about ten metres and failing to attract his attention. His partner couldn’t hear him at all due to combined effect of wind in ears and hail clattering off of him. Two friends of ours managed to totally lose one another on the second day, due to the landscape being a maze of humps, bumps and bogs. Thankfully they re-joined just near to the event HQ at the end but lost all their points as only one of them had visited all the necessary checkpoints. I think Viv and I did a great job given it was our first outing together. Make your declaration to enjoy every second of every adventure and share your stories. 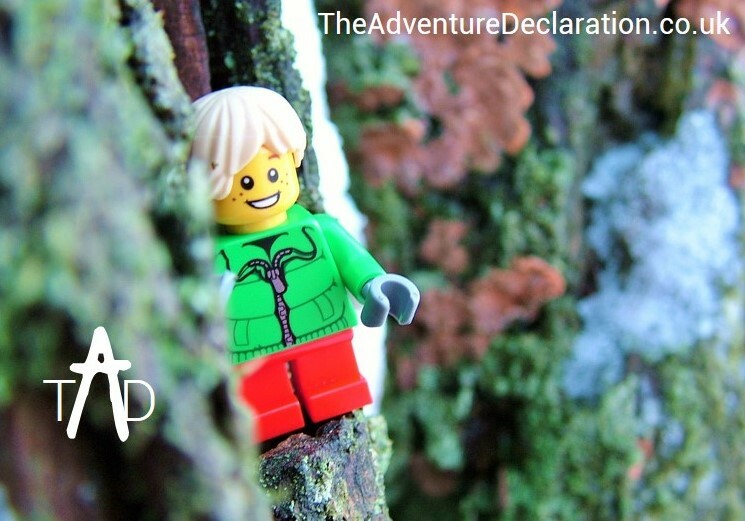 Join The Adventure Declaration on Facebook. “I believe you have to make the most of life & so I like to challenge myself. I was brought up walking in the Lakes & it’s where I am happiest. In 2007 we lost my Auntie to cancer so as a distraction for us all & to bring the family together I proposed that we’d climb the national 3 peaks (Ben Nevis, Scafell & Snowdon). In 2009 cancer struck again, this time we lost my Granddad and I started thinking about what my next challenge would be. I knew it would be something with the mountains again but I wanted to push myself harder. 2009 was the same year as the celebrity Kilimanjaro challenge for Comic Relief. However, I didn’t want to jump on that bandwagon so started looking at other mountains & after some research I decided Mont Blanc would be it. I did some research & I thought I knew what I was getting myself into. 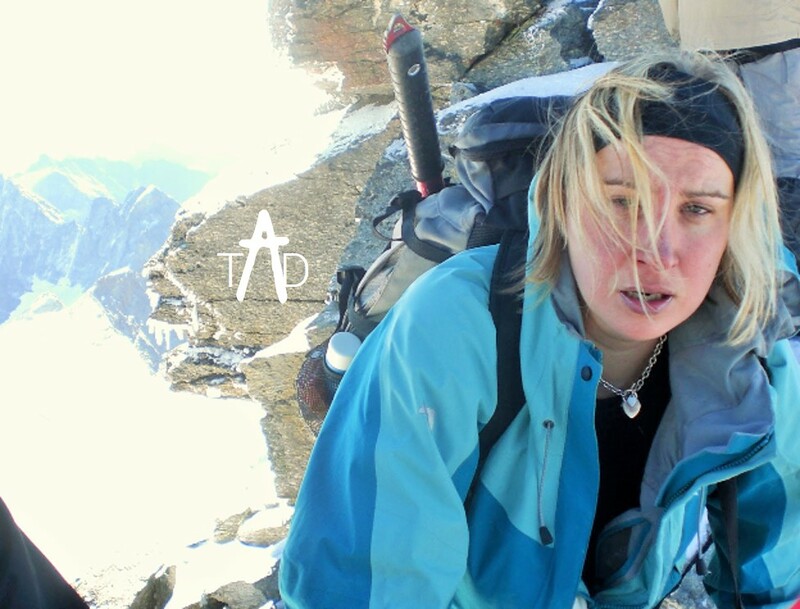 Mont Blanc is the highest mountain in Europe standing at 4,810m & can be a dangerous place. It is constantly covered in snow so we had to gain some basic alpine skills of crampons, using ice axes, walking with ropes and over crevasses, all at altitude. We booked the trip with a specialist company and their website had lots of advice for kit & fitness requirements, which basically said we needed to able to run a half marathon in under 2 hours. So I took up running! After a few weeks of hating it, I started to build up my fitness and I loved it. I entered races to test myself and to help keep focussed. On the first day we headed to the Mer de Glace glacier to be tested on our alpine skills and my first, of many, challenges! The glacier sits about 300 to 400 feet below a cliff top which is accessed by a via ferrata, basically metal ladders and rods cemented into the cliff with no ropes or anything to clip on to. I’m pretty clumsy so when it comes to climbing things or heights, I get nervous. By the time I got the bottom I was shaking like a leaf! Down on the glacier we got our crampons on and spent the next 2 hours walking along the glacier, in & out of crevasses practicing our technique. 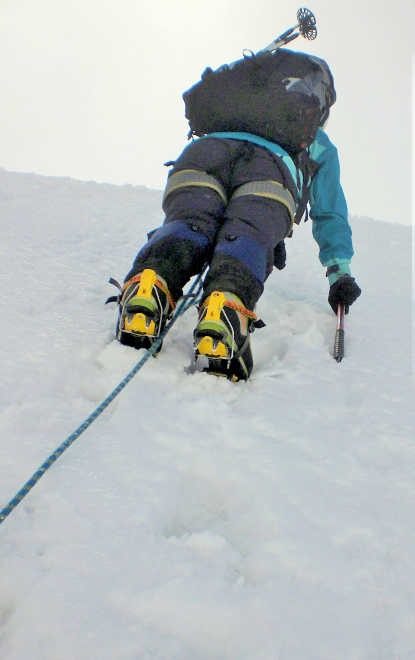 We had been fortunate that 2010 was a very cold winter, so we’d been able to gain some experience wearing crampons in the UK. However, I found it very different and difficult to grasp the basics out on the ice and spent most of the 2 hours sliding into the crevasses & trying to crawl out of them! During our lunch break I was so annoyed at myself for not being able to grasp the crampons and knowing it was a key requirement for the summit in a few days’ time I found a small crevasse & continued to practice. The second day involved altitude training at Aiguille Du Midi, 3,842m, which is accessed via a cable car from Chamonix centre. We geared up in our harnesses, crampons & got roped up before heading out of the safety of the cable car station & on to the ridge down onto the Col du Midi. The ridge itself was very daunting, it was just about wide enough to stand with your feet together & no more. Thankfully the clouds were low that day so the visibility wasn’t great, this I realised later, worked in my favour as there was a sheer drop either side of the ridge. When I found out at the end of the day I burst into tears. From the Col du Midi we walked across the glacier over to Ponte Lachanal to do my first ever ice climb & I was scared! The climb itself was up a 60 degree slope of about 100m and half way up, to my surprise, I started to enjoy it. At the top we walked on snow slopes for another 10 minutes to find a nice spot for lunch. This was where they broke the news to me that I had to go back the way we’d just come. Now I was petrified! I think I even tried talking them into a different route so I wouldn’t have to do it! Very slowly though I made it back down & I was really proud of myself, I’d done it! We then headed back for the ridge & up to the cable car station!! Knee tremble time! Especially as it’s now later in the day & it’s busier with people wanting to pass you on this 12” knife edge!! Ouch, by day three my legs felt like lead! I’d been so tense over that last 2 days and all the stuff we’d been doing it was a challenge getting out of bed & standing straight, let alone walking in my boots. The realisation of the challenge was starting to hit me & I was having doubts about my abilities. We headed for Petite Aiguille Verte at the top of the Le Grand Montets glacier for more crampon & altitude training. Trying to get my aching, tired legs up this mountain took a lot & then there was a prospect of another ice climb, I wanted to cry. I think our guide took pity on me at this point and suggested we practiced my descent techniques instead. That evening we found out that Mont Blanc wasn’t going to be possible. We needed two clear days & there was only one on the horizon. They’d been hoping we could travel to the Gouter hut on Thursday through the storm & climb Mont Blanc on Friday but the guides said there’d be risks of an avalanche due to the fresh snow. We were given a few alternatives and decided on Gran Paradiso, Italy’s highest mountain at 4,060meters. This had some of the same challenges as Mont Blanc but in some senses it was also a lot harder as there’s no access via the cable car, our second day was now a lot longer. The big day arrived! We were teased again in the morning that Mont Blanc might be back on the cards but between leaving breakfast to pack our bags for the trip & returning to the office that hope had been dashed once again. All the guides agreed that it was simply not possible as there was too much snow already up there & storms were predicted that day. We headed through the Mont Blanc tunnel & out in to Italy. We stopped at a small café on route for coffee, you’d be surprised how many Italians were drinking Chardonnay at 11am! Our starting point was at 1,000m so we did have a bit of a head start. Today was a relaxing day as it was just over 800m climb to reach the Refuge Chabod & our home for the night. It was a very picturesque both up and down the valley and the walk helped ease my aching legs. Once at the refuge we had a snooze in preparation for the 4am start the following morning and had an amazing meal considering we were at 2,750m & everything had to be carried there. The next day we were all up at 3.45am for breakfast & on the trail for 4.30am with our head touches leading the way. The route was very different to the previous day as we had to traverse over to the glacier via a path which had high risk of falling rocks. Once we reached the glacier it was time to don the harness, crampons & walking poles & get our heads down for the long walk ahead. The route took us up to the top of the glacier & then round the back of Gran Paradiso before climbing the steep ridge up to the summit. I summited at 9.30am & then promptly had a mild panic attack. However, a quick whiskey & toast to my Granddad help calmed my nerves! The route back down was via a different glacier & over to a different refuge, Refuge Vittorio Emmanuele, for a quick rest & lunch before continuing down to the cars at 1,000m. It was a long day, approx 10hrs, with a 1,311m ascent followed by a 2,100m descent. I cried the entire way down due to sheer emotions and the fact that I’d actually done it. I was so proud of myself.